Bedeschi has signed with Ashdod Port, Israel, the supply of No. 2 additional self-propelled ecological Hoppers for the unloading of bulk grains and grain derivatives from the hopper to trucks. The discharge capacity of each hopper is equal to 800 tph, designed to work with 18m3, 13m3 and 9m3 grabs. 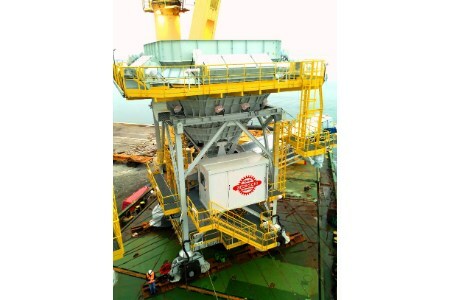 The machines are equipped with rubber-tyred travel system on wheels with power steering and hydraulic jacks for lifting the hopper during the loading phase, reducing the loads on existing berth. In order to respect the environmental rules regarding dust emission, an active dust collection system will be installed.